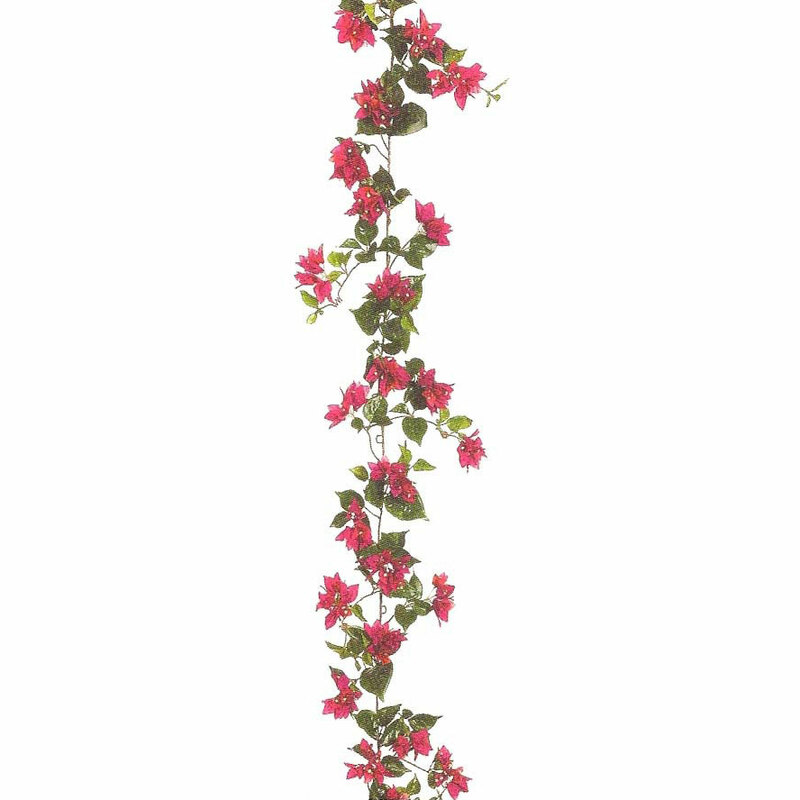 Stunningly beautiful, this 6' bougainvillea silk flower garland will never need a drop of water or pruning. Each of the perfectly crafted silk flower garlands have a realistic look, complete with natural markings and color variations. Our fake garland is easy to store and reusable, as it never wilts, and is crafted to last for years! Perfect for party decorations, weddings, in-home decor and more! This authentic styled artificial garland is sure to please and just one of our many artificial garlands online. And... You'll get to cherish it for a lifetime!